Frances is not your typical attorney. She was inspired to become a lawyer by the struggles of her parents and numerous friends for whom the divorce process was especially challenging. Having studied psychology and social science in college, divorce law provided the perfect marriage of her educational experiences with the opportunity to make a personal difference in the lives of others. After practicing family law at The Crittenden Firm, PC for eight years, she and colleague Leigh Byers co-founded Nolan Byers, PC. Together, they designed a boutique family law firm that is dedicated to empowering clients who face the stress inherent to divorce and other matrimonial law matters. Frances works to understand each client’s goals and concerns and to educate them about options for achieving their desired outcomes. For some, the traditional court process provides the structure and security required. For others, private, out-of-court methods may be preferred. 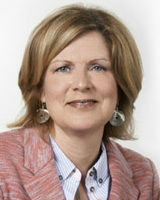 Frances was instrumental in bringing Collaborative Divorce to Alabama. As a certified Collaborative lawyer, Frances co-founded and served as the inaugural President of Alabama’s first Collaborative Practice Group, Birmingham Collaborative Alliance (BCA). Collaborative Divorce is a no-court, private and consensual process in which the parties are provided the support of an interdisciplinary team of professionals all trained to support them in the process of restructuring their families for life after divorce. Collaborative Divorce is a forward-looking process that rather than assessing blame, is designed to empower its participants to create a durable plan for the future that maximizing the best outcomes for the whole family. Although dedicated to the advancement of alternative practices in dispute resolution, Frances is also trained in litigation. Her goal is to provide quality legal representation suitable for each client’s circumstances, goals and legal issues. Frances is married to William G. Nolan (Bill), an attorney practicing in the area of Elder Law. They are the proud parents of one son, William G. Nolan, Jr. (Will), who is currently in medical school. We created our boutique family law firm, Nolan Byers, PC in March, 2013 with the goal of providing our clients with strong support to deal with what comes next. With a combined twenty years of experience, we have learned that family law matters always involve both an emotional and legal process. We want our clients to feel empowered to face these challenges and address the things they value most. Having seen the negative effects of cookie cutter divorce agreements and one-size-fits-all litigation, Nolan Byers provides a customized approach tailored to the specific needs, goals and interests of the individuals we serve and in every case, we apply our experience and expertise to achieve the best possible outcomes for our clients.